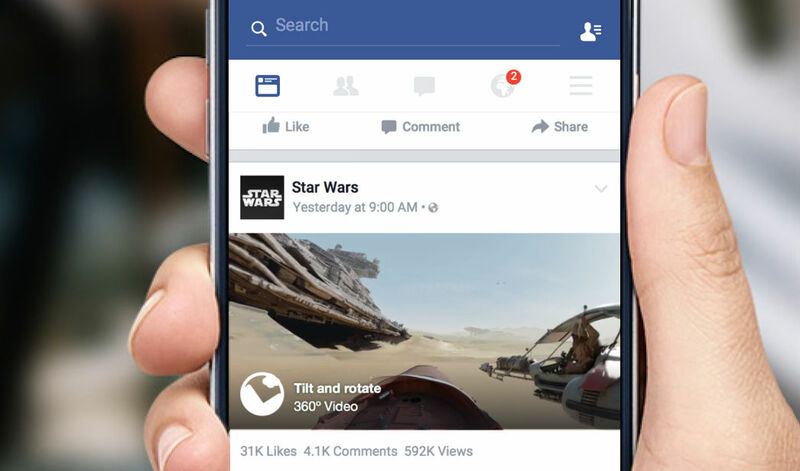 Facebook’s New Feed is about to become a whole lot more immersive, thanks to the introduction and support of 360-degree video. When you see a video uploaded in 360, users on desktop computers can drag the video around with a mouse, but the real magic is when the video is viewed on a mobile device. When viewing on your phone or tablet, you can tilt and twist the device, allowing you to see different views — just like VR. Special equipment is needed to shoot videos in 360, so sadly, users won’t be uploading their own 360-degree videos anytime soon. Unless you have one of those awesome GoPro sphere cameras. Those are legit. A few publishers are already bringing 360 videos to News Feed for your enjoyment, such as Star Wars, GoPro, Discovery, and even LeBron James. Head to your timeline now to check them out. If you don’t see the videos yet, be patient, as they are still rolling out. For now, this will be exclusive to Android and desktop users, at least for a couple of months. Facebook states they are still working on this feature for iOS users.